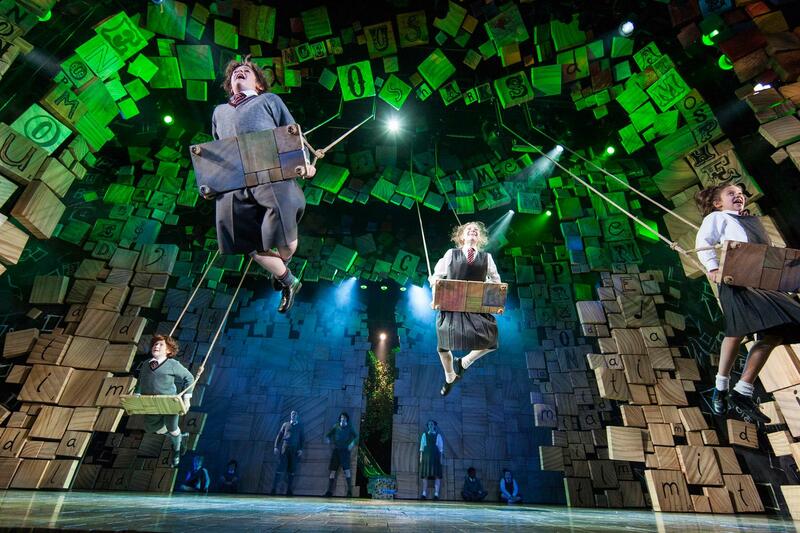 Award-winning West End hit Matilda the Musical transferred to Broadway this week, with previews starting on Monday 4th March 2013. The show has been hugely successful in its London home of the Cambridge Theatre, where it made back its initial costs within three months of opening, and the transfer to New York was proposed a month later. The show, adapted from Roald Dahl’s book by Tim Minchin and Dennis Kelly for the Royal Shakespeare Company, started previewing in the West End in October 2011 and set the record for the most Olivier Awards for a single production in 2012, winning seven awards. The Broadway transfer has been highly anticipated and feedback so far on Twitter and Facebook has been very positive, with audiences receptive to the stage version of a much-loved British novel. With all the buzz around the opening in New York, it felt like time to revisit the London version. Whilst tickets are notoriously hard to get hold of at short notice, if you are fortunate enough to be aged between 16 and 25, the first lucky 16 people at the box office at 10am can buy a seat in the upper circle for £5. Too tempting an offer to refuse. Whilst the show starts a little slowly and ends a little quickly, it truly is a magical piece of theatre you can be absorbed in and Broadway audiences already seem entranced by its wonder for children and adults alike. The one thing that stands out in the show is the talent of the young cast and the command that Matilda (shared between four girls over the eight shows a week) has over the audience and the power such a young girl can have to silence a theatre in Quiet. In contrast to the popular family tale, the hot new musical transferred from Broadway the week before, The Book of Mormon, could not be more of a contrast. The show, which started previews on Monday 25th February and opens on Thursday 21st March, is from the people behind comedy South Park and popular musical Avenue Q won nine Tony Awards in 2011 and the Grammy Award for Best Musical Theater Album in 2012, but the awards are where the similarities end for these two shows. 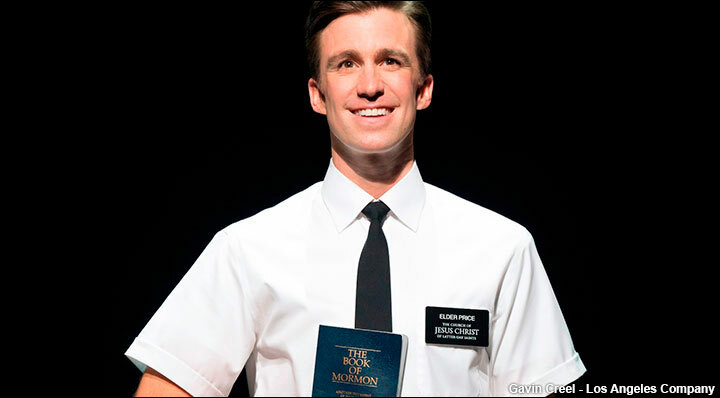 The Book of Mormon is not for the faint-hearted and certainly not for families. Its script and songs are rude, crude and offensive but that can be no great surprise when you consider the writers’ previous work. The show is crammed full of insults and blue humour, however it is first and foremost a brilliant, hilarious musical. The script and songs have moments where the humour has been pushed to the limits and potentially taken too far, but the cast is overflowing with talent and the Prince of Wales Theatre is fortunate enough to have celebrated Broadway star Gavin Creel bringing his role of Elder Price to London. The show’s appeal lies mainly in its quirky plot and unique take on musical theatre. The writers are unafraid of causing offence to not just the Mormon beliefs, but to faith itself and its story is a real example of free speech within the theatre. But underneath the humour is a genuine achievement of outstanding music that carries the show and enables it gain notoriety. The audience was noticeably young, with the majority of theatregoers aged from late teen to early 30s and it is refreshing to see a theatre filled with predominantly younger fans. Whilst new British musicals aimed at younger generations often find an enthusiastic but limited audience, it is encouraging to see The Book of Mormon selling out all the preview performances, with most third party ticketing websites recommending best availability from June. Whilst it has yet to be seen as to whether either show will have the same critical acclaim on the other side of the Atlantic, both shows are hugely popular with audiences for entirely different reasons, and their success with audiences is looking positive so far. Great post, two shows I’ve wanted to see, convinced me to make a real effort to go and watch them. Great blog, thank you. I have been wanting to find out more about Book of Mormon after reading all the rave reviews from both sides of the pond. It’s nice to see new musicals doing well in the West End. A breath of fresh air from the abundance of jukebox musicals that seem to thrive here. I really want to see both! Tried to get tickets for Matilda for my mum’s birthday but it was all sold out on the days she was in London, so went to see Wicked instead (again). Great post! I wasn’t sure about The Book of Mormon but you’ve just convinced me – great post! I really can’t wait to see the book of Mormon! It looks fantastic, I think the South Park creators are so intelligent-and I always seem to be drawn to theatre with a bit of satire in it. Unfortunately I think it’s booked up until August so I’ll just have to wait. 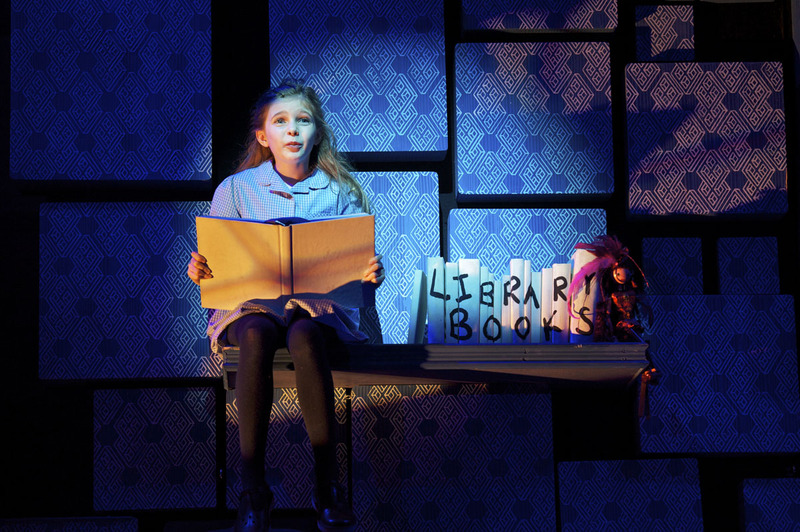 I wasn’t sure about Matilda-the book sort of reminds of “Carrie”…but like a child’s version? It’s like a Stephen King training bra. But you’ve certainly sold it to me.